Consejo Regulador del Tequila - CRT - Tequila Regulating Council, Jalisco, Mexico. The Tequila Regulatory Council (TRC) is the organization dedicated to promoting the quality, culture and prestige of Tequila. Participants of this interdisciplinary organization have met since December 16, 1993 with the goal of promoting the culture and quality of tequila. 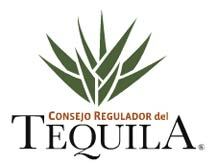 The Tequila Regulatory Council is a non-profit organization, founded in 1994, that verifies the performance and the fulfillment of Mexican standards (normas) concerning tequila. It also guarantees the tequila's authenticity and quality, and protects the Denomination Appelation of Origin (AOC) worldwide. Members of the Council include the Mexican government, agave farmers, tequila producers, bottlers and distributors.